When the 2019 Indian Scout showed up in the Ultimate Motorcycling garage, we didn’t immediately think about stoking the Indian vs. Harley-Davidson rivalry—it took about 10 seconds to go there. 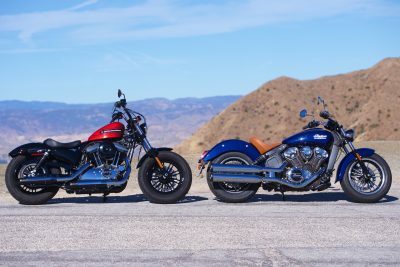 So, we looked to the Harley-Davidson Sportster line for a challenger, and the 2019 Harley-Davidson Forty-Eight Special stood out as the motorcycle to take on the 2019 Indian Scout. Visually, the two motorcycles don’t look like direct competitors. However, our experience with previous editions, along with plenty of specs similarities, convinced us this pair belongs together. Perusing the spec sheet of the 2019 Harley-Davidson Forty-Eight Special and the 2019 Indian Scout shows how close they are—they have similar displacements, claimed torque peak is almost the same, tire sizes are identical, the weights are within a few pounds of each other, rake is close, seating is solo, foot controls are forward, and the prices are within a grand of each other. Let the riding begin! The most obvious difference between the Forty-Eight Special and the Scout is the ergonomics. While both have abbreviated seats with little wiggle room and the pegs are mounted at the front of the engine cases, the Harley-Davidson has mini-apes, while the Scout goes with low sweptback handlebars. There’s no confusing the two. 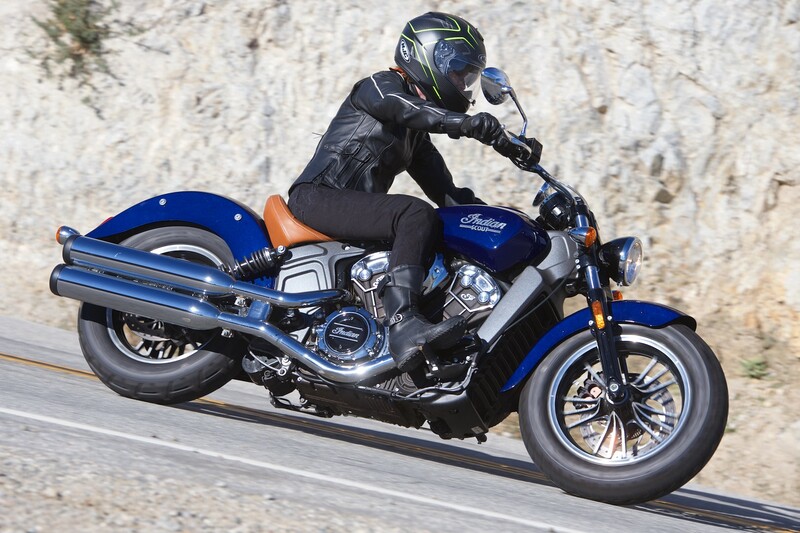 The Indian Scout has a roomier feel, despite the pulled back bars, due to it being a more stretched out motorcycle with a wheelbase 2.6 inches longer. The Harley-Davidson Forty-Eight Special feels a bit smaller, even with the tall bars. 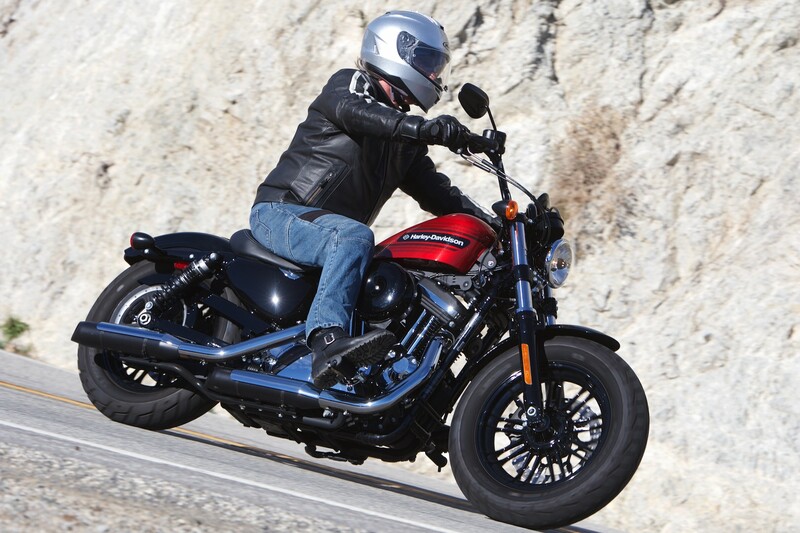 With less vibration and a more relaxed riding position, the Scout gets the nod for the least fatiguing of the two. Regardless, both motorcycles are happy for full days in the saddle, tackling canyons and urban areas. We wouldn’t take either on a long touring ride—you’re sitting too upright and in the wind for that. 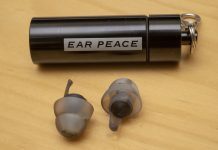 It’s worth noting that both companies offer windshields, bags, and passenger accouterments as factory accessories, so turning them into casual touring mounts certainly isn’t out of the question. The two motorcycles tackle in-town riding in distinct ways. With the long wheelbase, inch-shorter seat height, and beach-cruiser style bars (also suitable for dirt tracking, of course), the Indian Scout is low and leisurely. The 61.5-inch wheelbase discourages fast lane changes, and the motor is smooth at lower rpm and revs out very nicely, should you find the room to do so. Also, the clutch pull is lighter on the Indian. With a rubber-mounted air-cooled motor, the Harley-Davidson Forty-Eight Special provides a much more visceral experience. The clutch pull is significant, and the gearbox action requires more deliberate initiation. Though torque is strong off the bottom, the engine isn’t fast revving, so it does not wear you out. 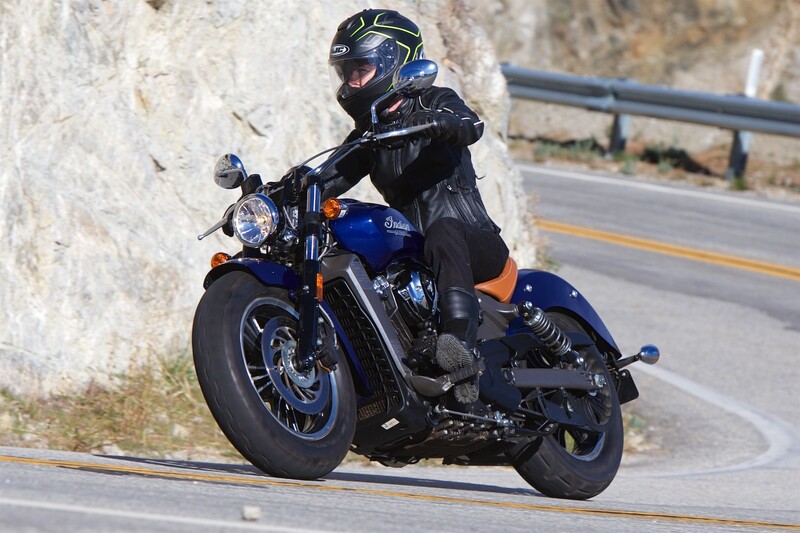 With a wheelbase under 59 inches, the fork angle a relatively steep 28.7 degrees (the triple clamp tucks the front end in an extra degree-and-a-half), and plenty of leverage courtesy of the mini apes, the Forty-Eight Special is downright agile in traffic. One might expect the Scout’s liquid-cooled, short-stroke DOHC eight-valve motor to walk away from the Forty-Eight Special’s air-cooled, short-stroke, pushrod, four-valve powerplant, but that is not the case in the city. In the stoplight derby, the Forty-Eight Special held a slight edge and was easier to get up to speed. Of course, once you hit 60 mph, the Scout easily accelerates away. The secret sauce that keeps the Forty-Eight Special competitive is the low-rpm torque. The torque peak of the motors is insignificantly different, but the Harley-Davidson hits the peak at just 3500 rpm, while the Indian requires revving up to 6000 rpm. That makes all the difference in the confines of urban riding. Give an edge to the Indian in the suspension department for city riding. The Indian’s forks have an additional inch of travel, while the rear wheel travel on the Scout is nearly twice that of the Forty-Eight Special (3.0 inches to 1.6 inches). While the emulsion-style Harley-Davidson shocks are good, there is only so much that can be done with 1.6 inches. The Scout’s suspension advantage is not a big deal in normal riding, but on a rough city street or when you hit an unseen pothole, it makes a difference. In both cases, the high-profile tires on 16-inch wheels do their part to help out the suspension. Freeway riding is another place where the Scout’s longer suspension travel is an advantage. Neither are great freeway motorcycles, though they have plenty of power for most any speed limit. Although neither like concrete expansion joints, the Forty-Eight Special suffers more. Choosing between the 2019 Indian Scout and 2019 Harley-Davidson Forty-Eight Special for in-town riding is ultimately all about riding philosophy. If you want a retro feel for the bike and road, the Forty-Eight Special makes that happen. Riders desiring smooth performance and a highly stable platform will look to the Scout. The styling of both motorcycles is distinctive, with the pair getting regular positive attention from onlookers. “Those are two cool bikes,” according to a Millennial in a new Mustang GT convertible at a stoplight in Studio City. Taking on the urban twisties, such as Mulholland Drive along the top of the Hollywood Hills, reminds a rider of the two different approaches the manufacturers took. The Indian Scout’s long wheelbase and relaxed rake make for a stable ride at the expense of agility. In contrast, the Harley-Davidson Forty-Eight Special loves to be thrown around, and it is fun on the well-paved portions of Mulholland Drive. Again, the power delivery styles are quite unique, giving each motorcycle a distinctive personality. The Forty-Eight Special grunts out of the corners from idle, while you will want to keep the revs up for good acceleration from the Scout. If you’re an active rider, the Forty-Eight Special is rewarding. It doesn’t mind you stuffing the fat 16-inch Michelin into turns and twisting the throttle hard to get out. The Scout also has a good front end feel, though it is less receptive to input. If you like stability, the Scout provides it. Neither motorcycle has anything approaching generous cornering clearance. The 2019 Harley-Davidson Forty-Eight Special will grind into the pavement without much provocation. In contrast, your heel is the first thing to touch down when riding the Scout. Still, both motorcycles have enough clearance to satisfy a reasonable rider out simply for fun in the hills. The faster, more wide-open curving roads you’ll find in rural areas favor the Scout. There, you can take advantage of the high-revving motor and get moving pretty fast, along with its inherent stability. 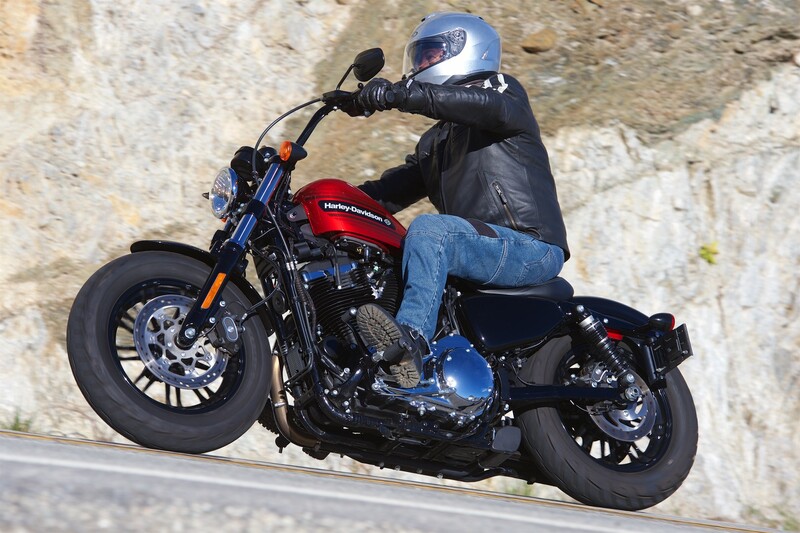 The Forty-Eight Special retains its thrust out of corners, but accelerates leisurely on fast sweepers followed by a long straight and never feels quite settled. In both cases, the tires are more than satisfactory. The Forty-Eight Special’s Michelins and Scout’s Pirellis grip all the way to peg or heel touchdown without drama. Front braking is intuitive and progressive—credit goes to the braking system setup in conjunction with the fat tire patches. The Forty-Eight Special’s rear brake (with a much smaller disc than the Scout) is exceptionally soft initially, for those who prefer plenty of warning before serious braking kicks in. Out in the wide-open spaces, you can access the overdrive sixth gear on the Indian Scout and relax the engine. The Forty-Eight Special gets by nicely with just five ratios, though we wouldn’t turn down a six-speed Sportster transmission. Pulling into the local watering hole is a push. People will check the bikes out and nod—both Indian and Harley-Davidson got the styling right. 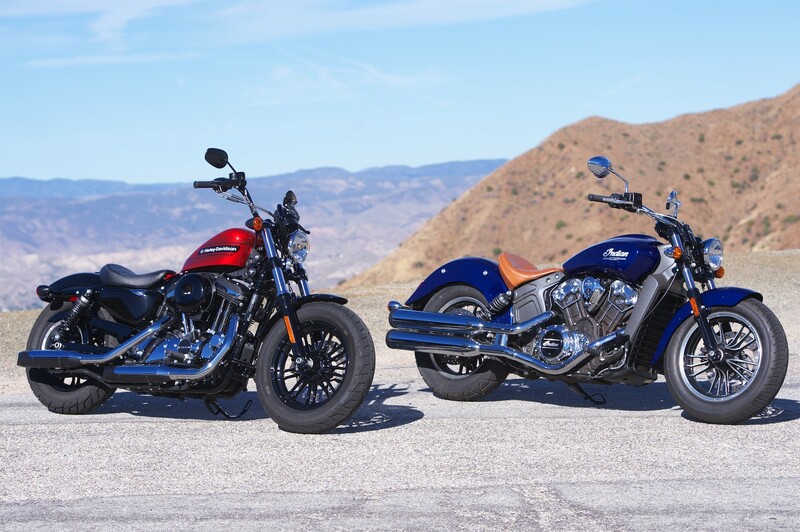 Riding the two motorcycles extensively, we found we favored the Harley-Davidson Forty-Eight Special as a city cruiser, and the Indian Scout in suburban and rural areas. However, that doesn’t mean both motorcycles aren’t fully suited to switching roles successfully. At the conclusion of comparisons, the test riders often ask each other which bike they would keep, if that were an option. That question was met with unusual consternation. We all liked different aspects of each motorcycle, and picking a favorite just wasn’t practical. Really, you could justify owning both. So, as is often the case, it comes down to your philosophy of riding. If you like stability, smoothness, and the neo-boardtracker look, the 2019 Indian Scout will be in your garage. For those who favor a more authentic retro experience, plenty of low-end muscle, and classic styling, your choice will be the 2019 Harley-Davidson Forty-Eight Special. With 45 years of riding experience, Don Williams is a fan of all kinds of motorcycles. 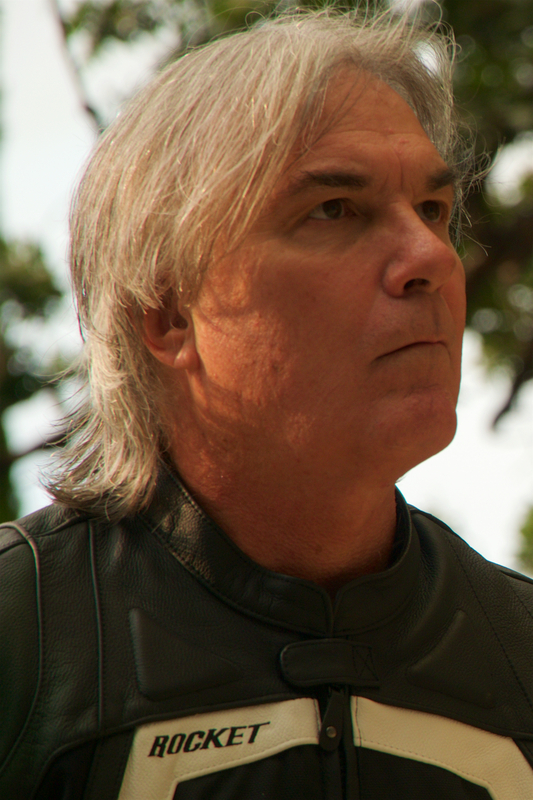 He enjoys sport bikes, cruisers, dirt bikes, touring bikes, adventure bikes, dual sport bikes, and rideable customs. Ask Don what his favorite bike is and he will tell you, "Whatever bike I'm on."